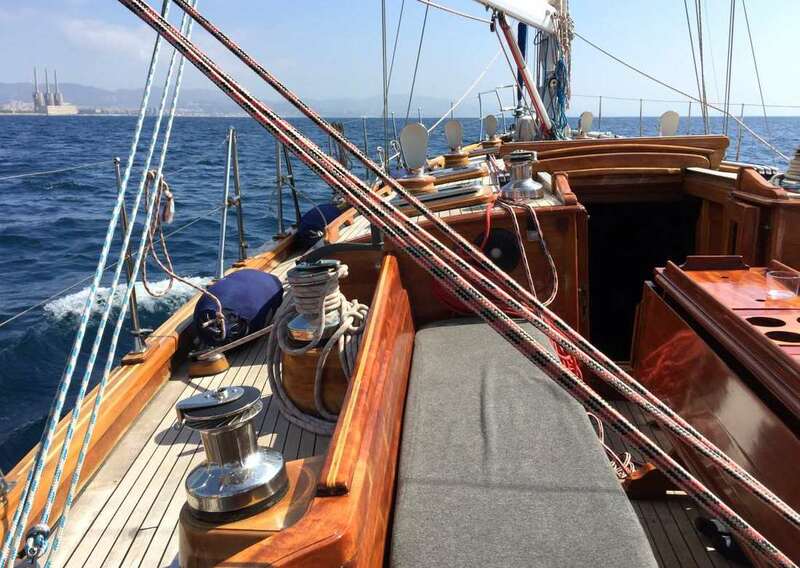 Amazing classic sailboat for charter in Barcelona. 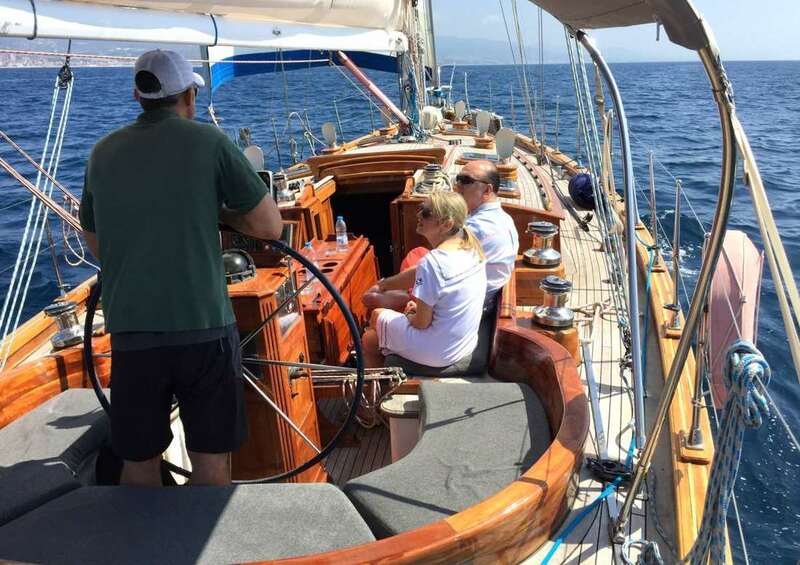 Capacity up to 12 people including crew. 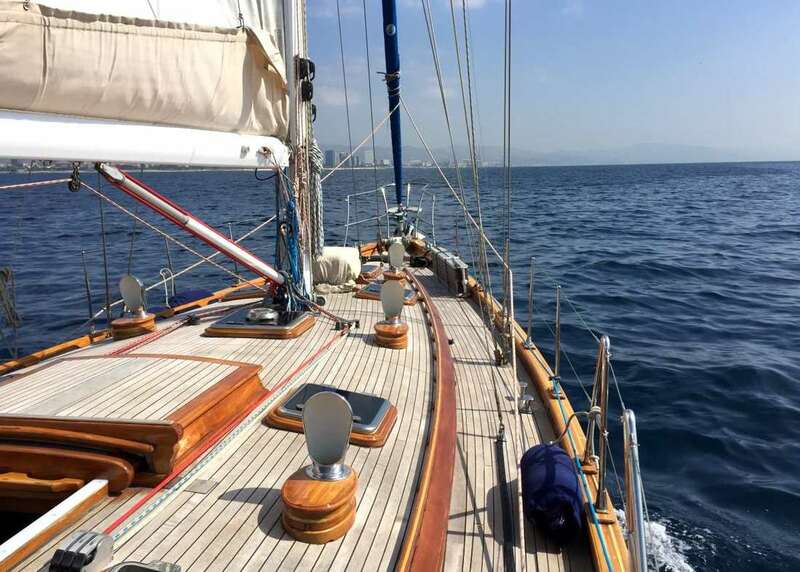 Available for leaving from the best point to start a sailing tour in Barcelona, full day sailing, weeks vacation, weekends, events and all kinds of nautical experiences from Barcelona. Deck equipment: , full batten mainsail and rolling genoa, electric winches, wind equipment, autopilot, GPS plotter and radar screen, DSC radio, AIS, full safety equipment zone 2. Hot / cold deck shower, bimini, child protection network, teak deck, BBQ, bow thruster. ​Fishing equipment, snorkeling gear, tender. Interior: 3 double cabins, 2 bathrooms, electric water heater, gas cook and oven, cd/mp3/USB player with USB connection, TV in salon, interior and cockpit speakers, battery charger, inverter 12V / 230V , microwave, fridge, full kitchen utensils. 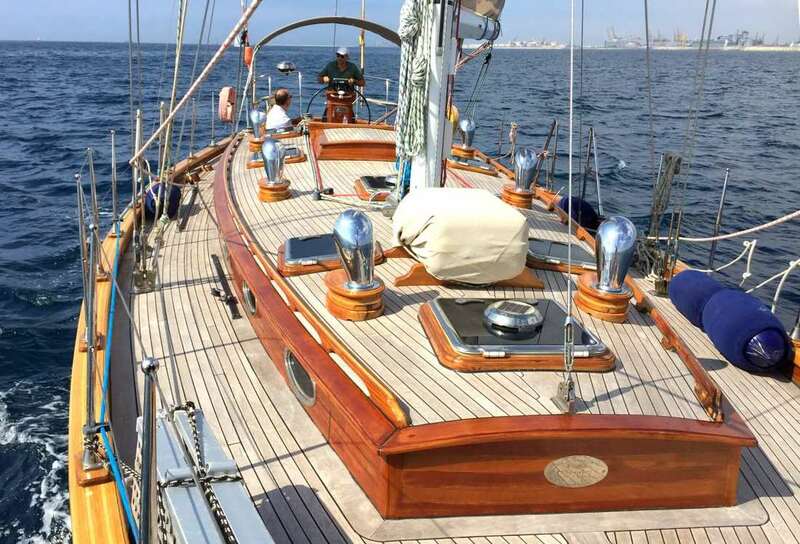 VAT 21%, boat and guests insurance, mooring in OneOcean Club Barcelona de Barcelona, professional skipper, fuel, drinks (water, beer, sodas, wine, champagne) assorted of Spanish sandwiches (salmon, Iberiam ham leg, cheese, vegetables...) and snacks.